﻿ MCN Fleet: Waiting for the adventure to begin! MCN Fleet: Waiting for the adventure to begin! 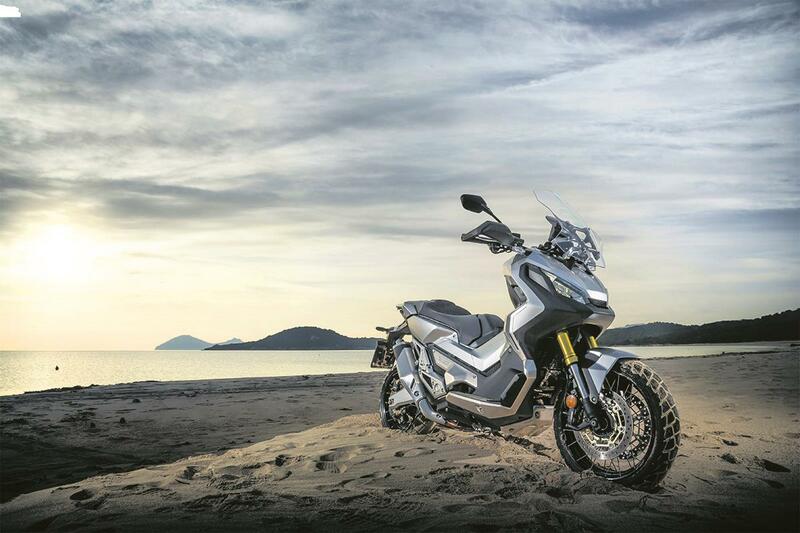 I first saw the Honda X-ADV in the flesh at the Carole Nash MCN London Motorcycle Show in February, it was swamped by interested punters and I was at the front of the queue itching to have a closer look. It’s an intriguing bike, designed by the same team as the Africa Twin it’s definitely got a rugged look. I love the fact it’s got the practicalities of a scooter for around town with the massive underseat storage, has natty little extras like the height adjustable screen for touring and then has the capability to go off road. I’ll be putting all of these different uses to the test over the next few months. It’s going to be my daily commuter bike, I’ve got a big trip to Bikefest Ireland and our office off-road expert, Michael Guy, is going to teach me a few tricks of the trade. I’ve previously run a Honda NC700X with the DCT gearbox, so I’m used to the semi automatic style. I’m interested to see if the uprated engine, which is now a 745cc offers, is as economical and easy to ride as its predecessor. I managed a purse swelling 80mpg on that model so can this one beat it? The DCT has an extra interest to me now, my other half was involved in an accident a few years ago that resulted in him losing the ability to move his left foot. We’ve adapted our Ducati Monster 695 with a Kliktronic hand gear selector, so he’s able to ride but I’m wondering if a purpose built auto-shifter is going to be a better option for him. I can’t wait to get my hands on the keys and my adventure to begin!